Key features: Details concepts and includes examples of their application in real-world situations Provides an essential ecological foundation for food system sustainability Introduces five levels that can be used to promote the transition to sustainable food systems Poses challenging questions as food for thought after each chapter, as well as websites for key organizations working in the areas covered in each chapter Supplies a hopeful and achievable alternative to the present-day industrial model of food systems Agroecology is a science, a productive practice, and part of a social movement that is at the forefront of transforming food systems to sustainability. 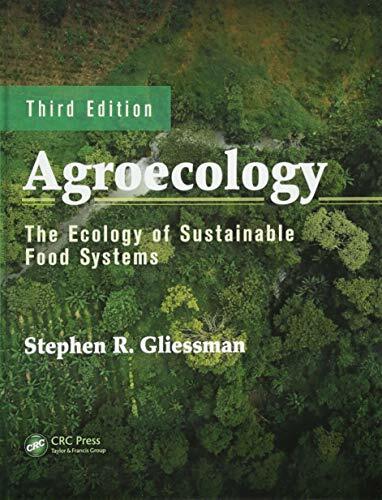 Building upon the ecological foundation of the agroecosystem, Agroecology: The Ecology of Sustainable Food Systems, Third Edition provides the essential foundation for understanding sustainability in all of its components: agricultural, ecological, economic, social, cultural, and even political. It presents a case for food system change and why the current industrial model of food production and distribution is not sustainable. See What’s New in the Third Edition: Chapters on animal production and social change in food systems Updated case studies, references, websites, and new research Emphasis on how climate change impacts agriculture Greater focus on health issues related to food The book begins with a focus on the key ecological factors and resources that impact agricultural plants and animals as individual organisms. It then examines all of the components of agroecosystem complexity, from genetics to landscapes and explores the transition process for achieving sustainability and indicators of progress. The book then delves into power and control of food systems by agribusiness, and the need to develop a new paradigm that moves beyond production and explores issues of food justice, equity, food security and sovereignty. The book concludes with a call to action so that research and education can link together for transformative change in our food systems. Groundbreaking in its first edition, respected in its second edition, this third edition of this standard textbook has evolved along with the field. Written by an expert with more than 40 years of experience, the third edition begins with a strong ecological foundation for farming practices and ends with all of us thinking about the critical importance of transitioning to a new paradigm for food and agriculture, and what this means for our future.